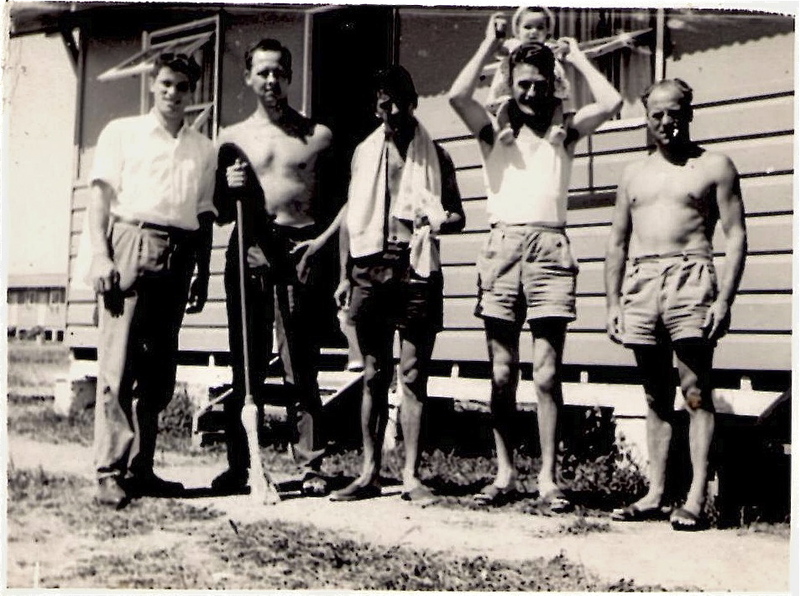 We arrived at Greta Migrant Camp, approximately 180 kms north of Sydney, in mid December 1955. Judging by the singlets and shorts on the young men in my photograph, it was going to be a hot Christmas. My father, mother and I had migrated from Trieste in north-eastern Italy, and had just spent one month on the ship "Aurelia". Some of their Italian friends had accompanied them on the sea voyage and were also offered a stay at Greta. They hadn't been in Sydney long - perhaps one week - so had not really formed a lasting first impression. But after two months at the migrant camp, they were certainly forming an opinion of their temporary home: limited choices of food, cramped conditions and isolation. But they would soon be off on another adventure to Sydney's inner suburbs and a more settled life.